Ladies Oxidised Detail Silver Pendant : LOVE2HAVE in the UK! A silver pendant with black oxidised linear detailing. 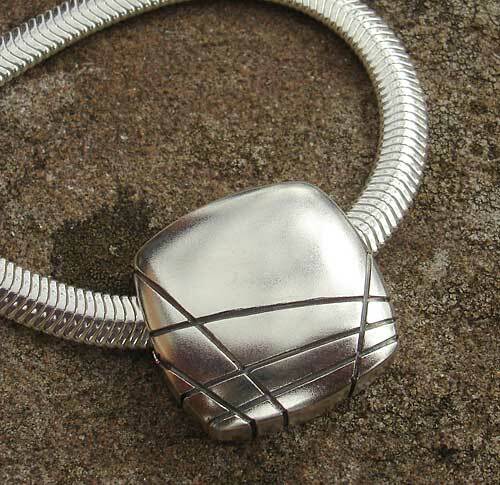 The silver comes with a semi-matte finish, and the pendant measures 19mm square. It comes threaded onto a flat slinky chain measuring 4mm wide and 16 inches long. 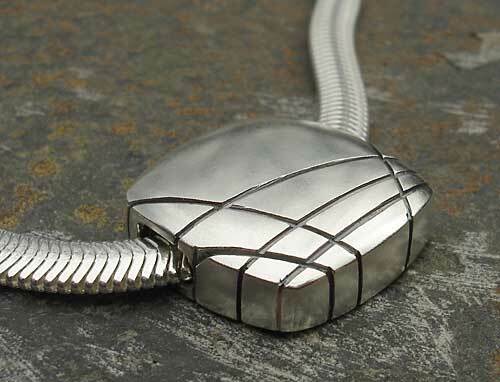 The chain is very attractive and almost organic in looks in the way it catches the light. It has a slinky quality to its handling. Please note that we only have one of these available pieces available.